Would you like to add a real traditional Japanese umbrella to the game? 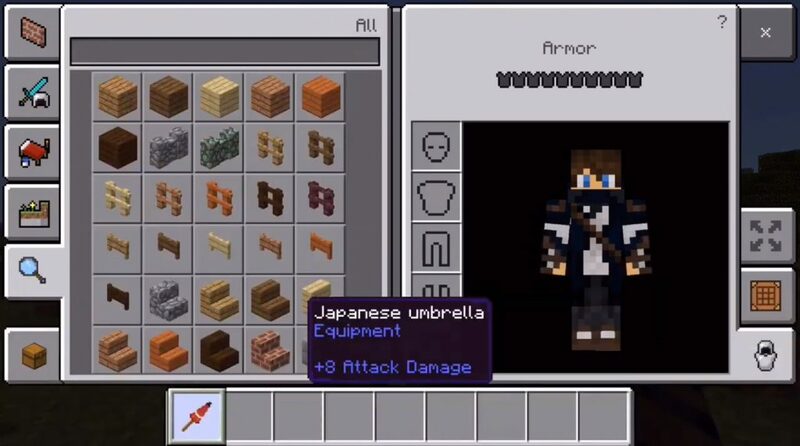 The package of textures Japanese Umbrella for Minecraft will allow you to do it! Now the model and textures of the trident will be changed under the umbrella in the game. This is just a nice addon to Minecraft Pocket Edition, which does not affect the gameplay. Nevertheless, you can throw an umbrella at rivals, like a trident. 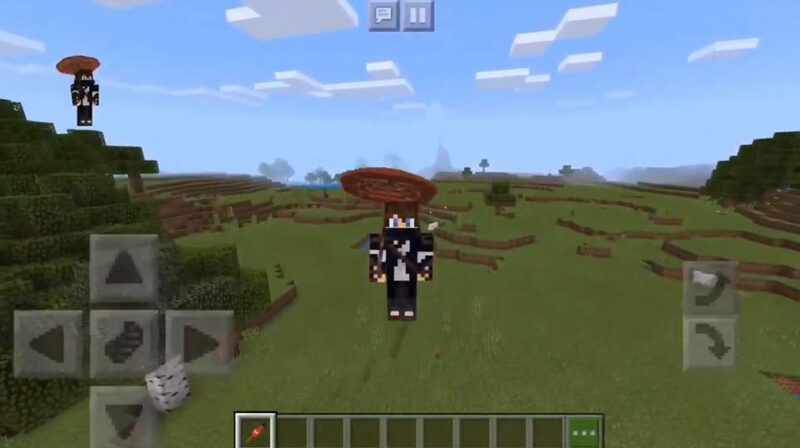 Well, already want to see this addition in action in the world of Minecraft PE?